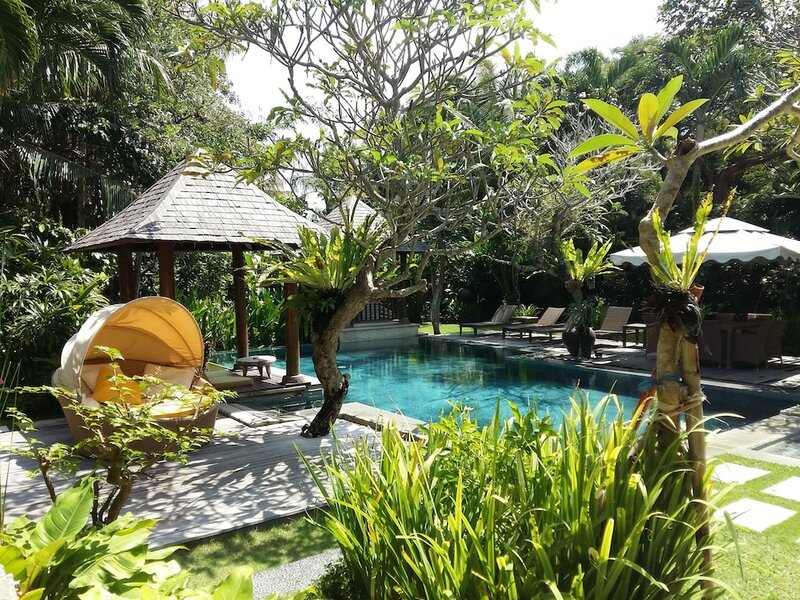 Kerobokan has a few attractions of note but this area is lacking in quantity when compared to neighbouring Canggu or Seminyak – after all, this is a mainly residential area. However, it does have several beaches of note, such as the exotic stretches of dark glistening black sand found at Petitenget and Berawa Beach, both popular for seclusion far removed from the busy scenes found further down the coast in Seminyak or Kuta. These areas usually overlap with each other with attractions in Kerobokan claiming to be located in neighbouring Seminyak, Kuta or Canggu due to the growing popularity of the latter. Here we’ve listed some of the best bits to see and do around Kerobokan, and which are within easy reach along the area’s packed streets and overlying urban localities. This surf school with its base in Kerobokan has a team of professional instructors who deliver surfing lessons for adults and kids of varying skill levels. Classes by pro surfers Ryan Hardy and Michael ‘Eppo’ Eppelstun are also featured regularly through ‘camps’ scheduled throughout the year. Two-hour lessons typically include a pick up from your hotel, then off to the coast of Canggu. Safety briefs and warm-up sessions precede your lesson. Then you’ll learn the basics, and progress up to all the aspects, from steering to crazy stances such as ‘dropknee’, or partly standing on your board. Primo is a small chocolate factory in Kerobokan, where pure and high quality handmade chocolate are produced from locally-sourced cocoa beans. The artisan factory was started by Pepe, a passionate Italian who works closely with cocoa farmers in the island’s central highlands. The chocolate here is all ‘seasonal’, with beans ground at low speed and low temperature, otherwise known as ‘cold processing’. You can arrange for a visit and factory tour to learn more about chocolate making.